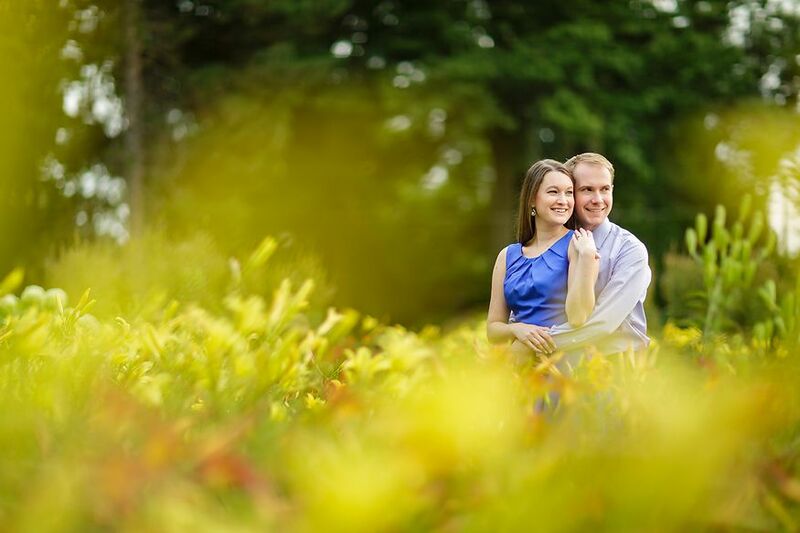 After working so many wonderful weddings this past month, I started thinking about timing. 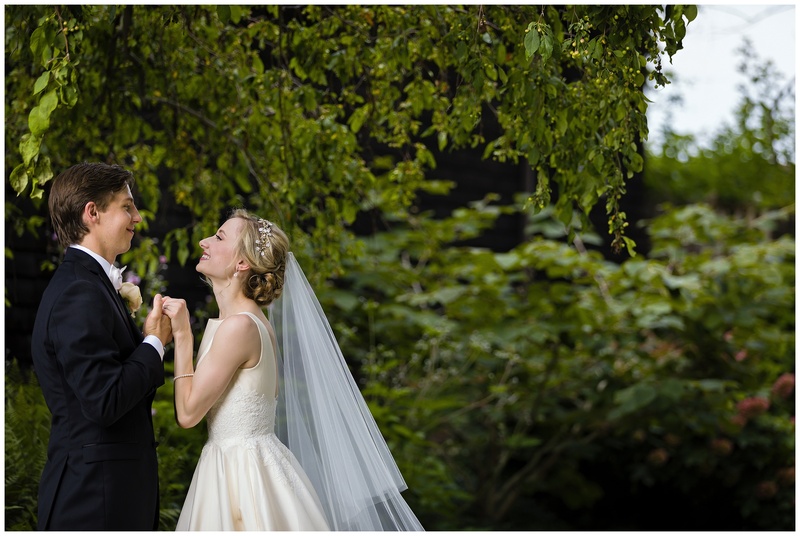 So many of my clients recently have had extra time – their weddings actually ran ahead of schedule! It’s so relaxing for the bride to go and sit down and have a drink before coming over to the church, for example. What made all of these days run early was great scheduling on the part of the hair and makeup teams, and I want to give these hardworking stylists credit! Professional wedding stylists do an amazing job and I highly recommend some of my favorites on my recommended vendors page! 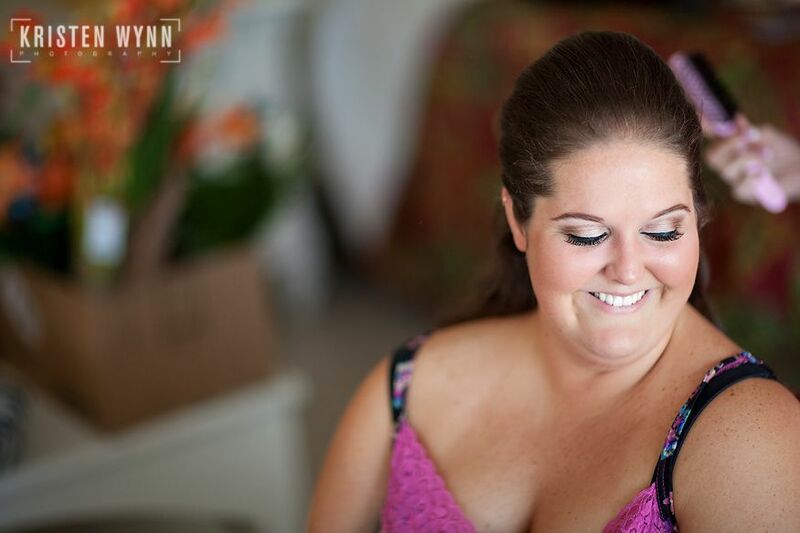 There are so many amazing stylists out there, and they do a beautiful job on your makeup and hair. I like to give them all the time they need for the job. There’s never enough time in general on a wedding day. It flies by so fast. Each vendor wants to do his or her best and in order to do that, they need time. In days gone by, the question the stylists used to ask is: “What time is the ceremony?” As long as they finished your hair and makeup with enough time to drive to the church and get into the gown, that was plenty. But times have definitely changed and today’s bride wants candids of herself getting ready with her bridesmaids. Today’s bride wants to get as many photos done prior to the ceremony as possible to enjoy the cocktail hour. 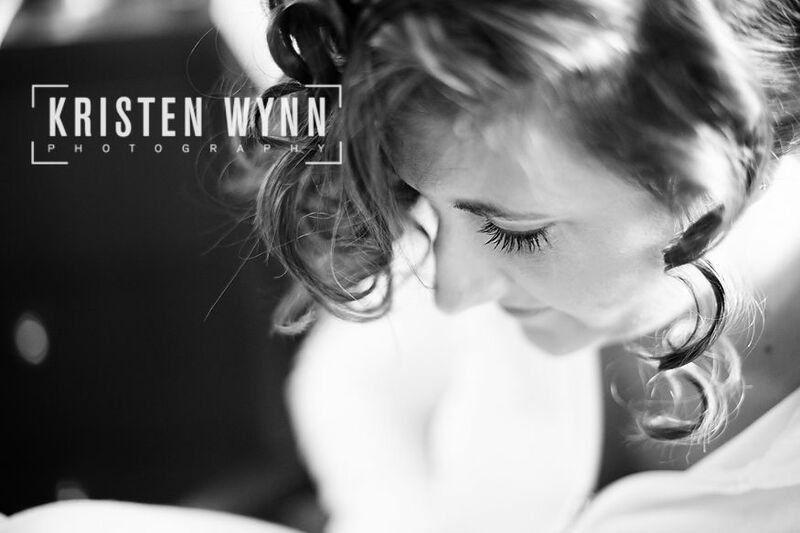 She sometimes wants to do a first look with the groom before the ceremony and maybe visit a few photo spots downtown. But if your makeup artist or hair stylist doesn’t know your pre-ceremony schedule, she can’t accurately plan out her work, and that doesn’t work out well for anyone. 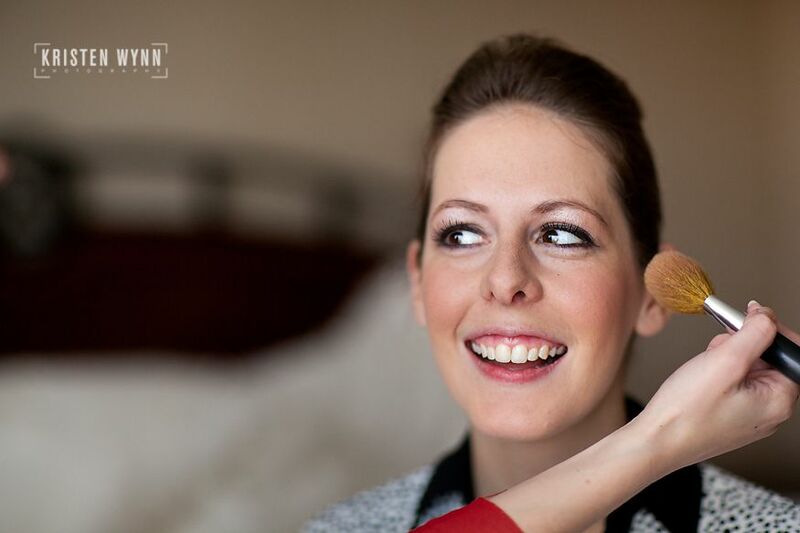 And if hair and makeup, the first thing you as a bride do that morning (well, besides showering and brushing your teeth! ), runs late, the entire day will run late. Don’t worry, we’ll get you back on track, but the day is so much more relaxing if you allow plenty of time for prep. Here are some photographer-suggested tips for hair and makeup timing that will have everyone looking photo-ready with plenty of time to spare! 1. 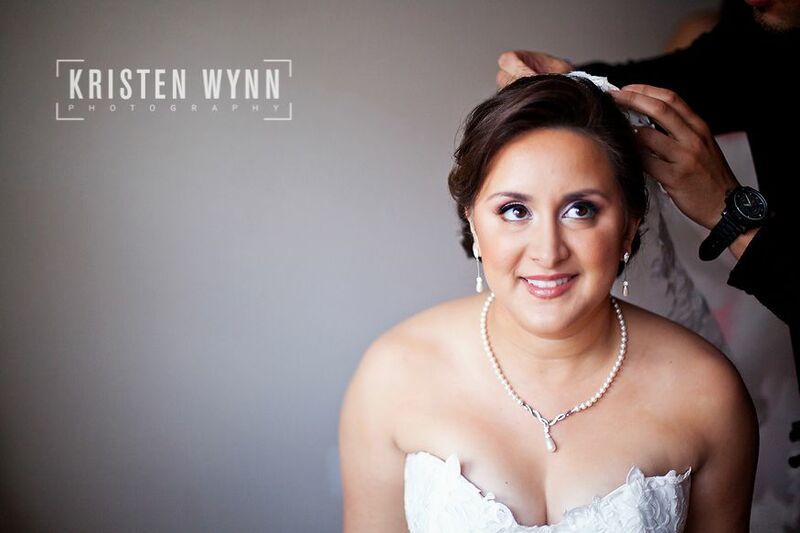 Hair and makeup generally need to be completed no later than three hours before the ceremony. 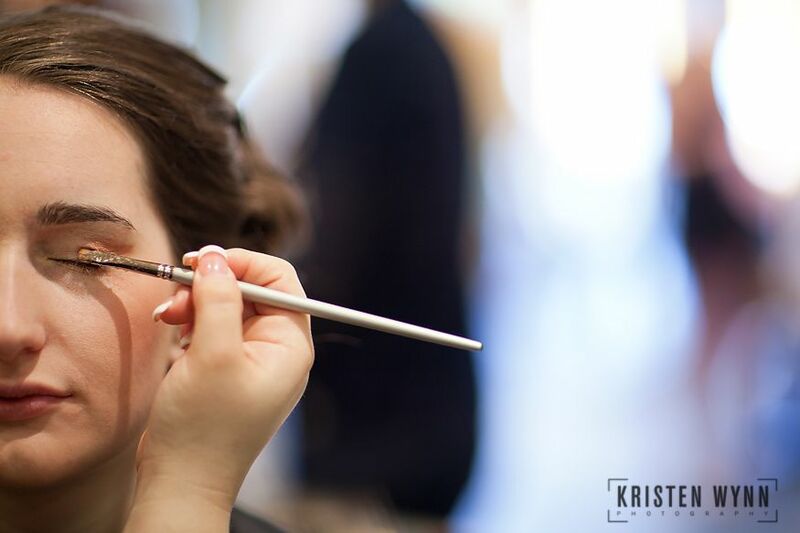 Times vary depending on if you are having a first look, where the groom is prepping, and how far you are from your ceremony location, but most brides need to have hair and makeup finished no later than three hours before the ceremony start time, more for longer drives or if doing a first look. 2. 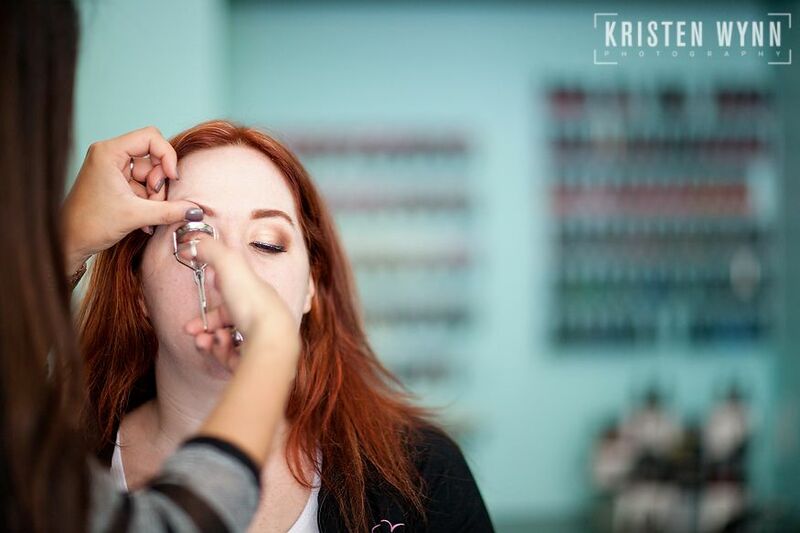 Hair and makeup should stay all day when done professionally and therefore, there’s really no such thing as getting started too early, especially if you have a lot of ladies in the bridal party. It isn’t unreasonable for hair and makeup to start at 8 or 9 am for a 5pm wedding, especially if you have only one stylist for each. 3. Communicate with your stylists about the time you and all the bridesmaids and immediate family need to be finished and make it fifteen minutes earlier than when you actually need to start getting dressed. If you are a KWP bride, just go backwards in time from the ceremony start time with my timeline guide or shoot me an email. In general, you need to be done three hours before the ceremony for non-first-look couples and four hours before the ceremony for first-look couples. Add more time if there’s a long distance between the bride’s prep area and the church, the groom’s prep area and the bride’s, or long distances between the portrait spots. Then, give the makeup artist and hair stylists fifteen extra minutes too to allow them to touch you up and perfect everything and also to clean up their gear. Example: You are a 2pm ceremony bride getting ready in the same place as the groom, the local hotel, fifteen minutes from the ceremony venue. When asked “What time is your ceremony?,” you should say “2pm, but we all need to be dressed and ready for photos at 10:45am at the very latest.” This gives plenty of extra time for you to relax and fix anything that might not be perfect. 4. 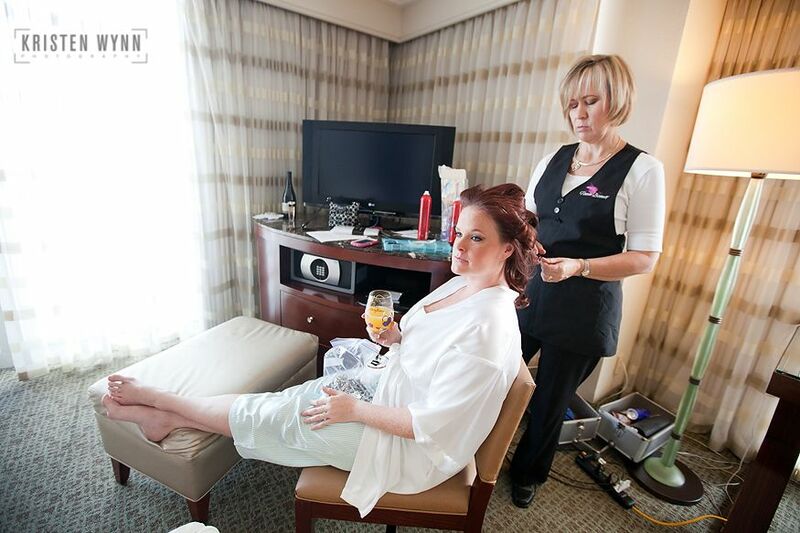 Consider on-site hair and makeup teams who come to your home or hotel. 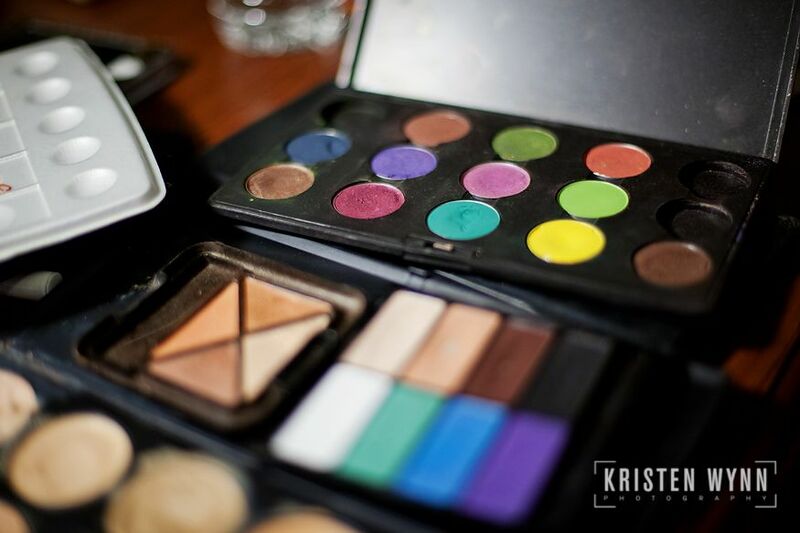 On-site hair and makeup stylists often specialize in weddings. They are used to working quickly and can work on multiple ladies at the same time in different stages. This cuts out a lot of extra driving for you as well and allows you to get ready when your hair and makeup are completed instead of waiting around for others to leave the salon. And it’s relaxing for you to be pampered at home or the hotel too! 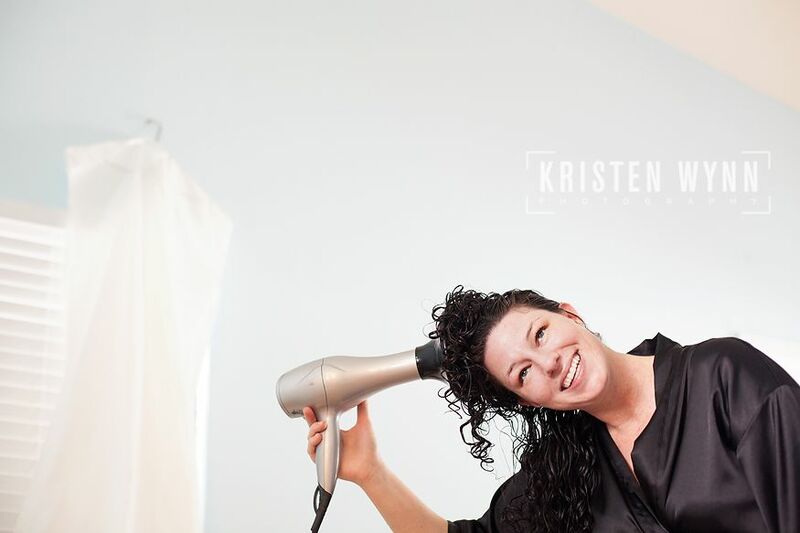 If you do choose a salon, it can definitely cut into your photography time, as the photographer can’t multi-task (shooting details, getting dressed, hair and makeup all in one chunk of time). We will still need tons of time at the hotel or home for details, so the salon and travel time can use valuable hours from your package that you may want for great reception candids. If a salon is unavoidable, I recommend choosing one as close as possible to the dressing location, having the photographer come by for only a small portion of the salon prep, and then having someone else, like a bridesmaid, meet your photographer at the “getting ready” location so we can start photographing details while your styling is being finished in this case. An alternative would be bringing all of your details, such as gown, garter, invitation, jewelry, shoes, etc, to the salon and having me photograph those there – that works too! 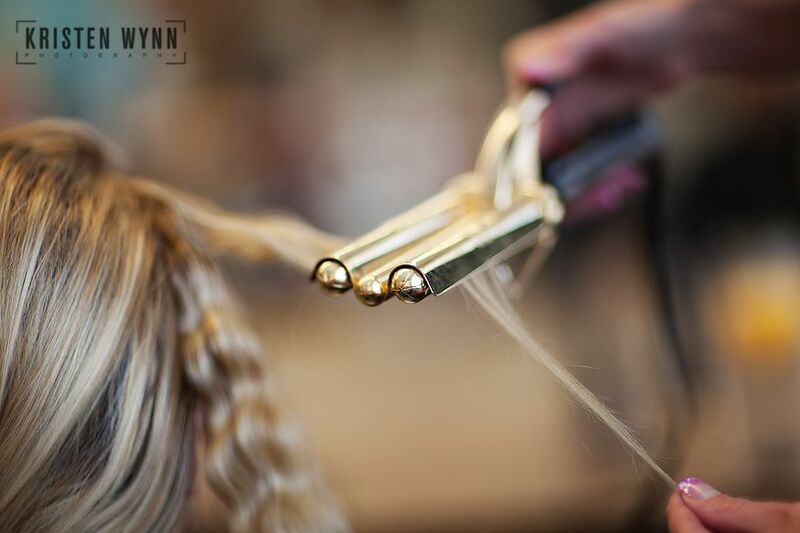 You can also ask your regular stylists to come to you that morning outside of the salon – you never know until you ask! 5. If you do go to a salon, drive separately. You and just one other person should have a car and be prepared to leave if things run late so you can get into that gown rather than wait for the five ladies you carpooled with – just in case things run behind. 6. 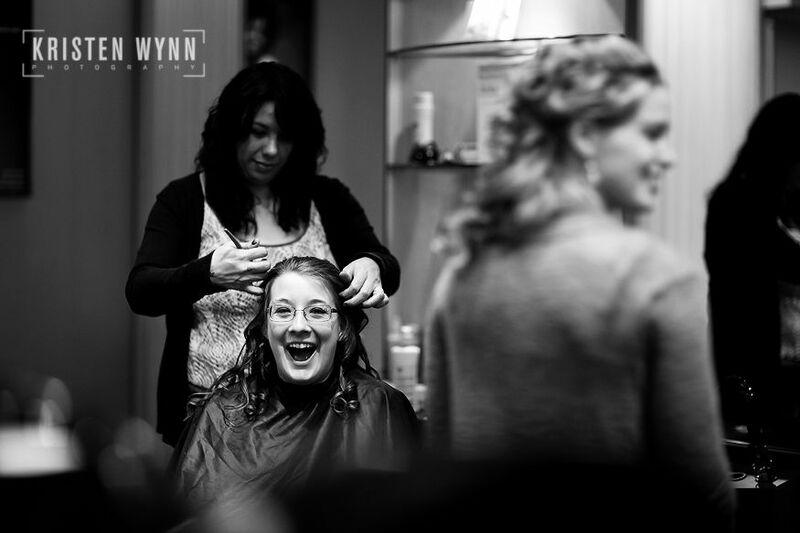 Let your stylist guide you as to how many assistants they feel they need to bring for your whole wedding party. 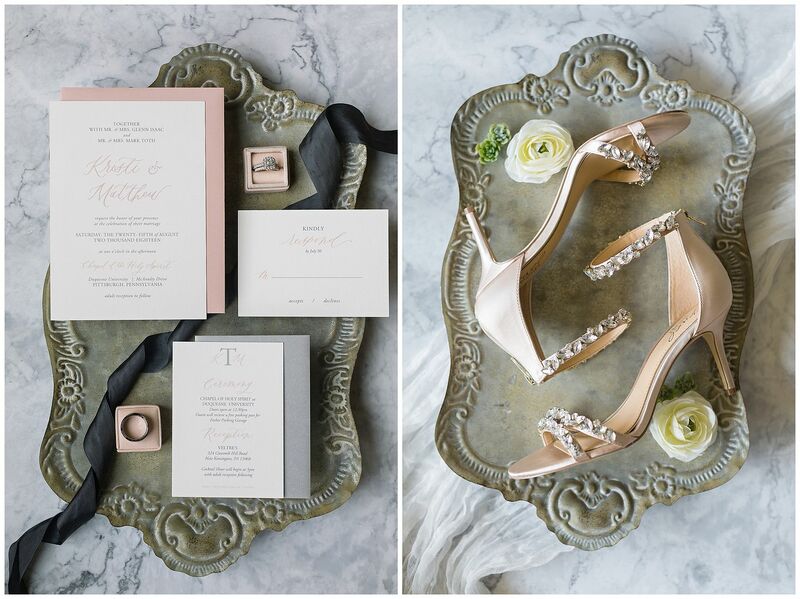 Give them an accurate headcount of how many will be having styling to help them plan. And if you have a particular bridesmaid, try to minimize the amount of touching up and restyling she requests- it can be a timeline buster! 7. Don’t be last – get styled in the middle of the pack. If you have four ladies, they should take you second or third – we want the style to last all day, but leaving the most elaborate ‘do until last can result in rushing or clock-watching. You can get touched up very last when everyone’s done too as a final measure. 8. Check the styling throughout the process if you are unsure – the stylists want you to love their work! Don’t wait until the end to decide you don’t like it when there may not be time for a total re-do. If something isn’t right, please speak up and have it fixed before the stylists leave the hotel and don’t try to fix it yourself after they go unless you are very confident in your skills. 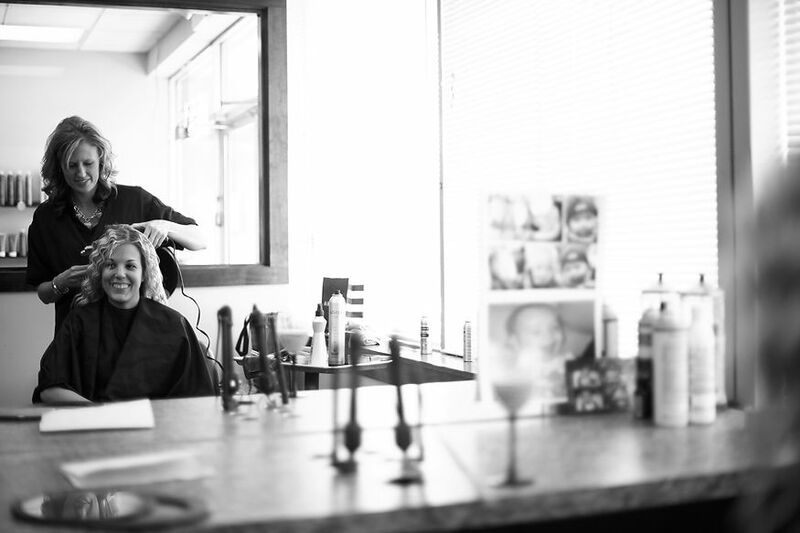 Having a hair and makeup trial in advance also avoids some wedding day indecision. 9. Consider having the hair stylist place the veil. When they do it, it’s quick and it lasts all day. If a non-pro maid or friend does it, the process can be more time-consuming. If you’d like a photo-op with mom placing the veil, we can always have her adjust it, straighten it, and make sure it is perfect, allowing that photo opportunity. 10. Get your nails done two days prior to the wedding rather than the big day. This is one of those things you don’t always know until you’ve been in a few weddings, but most mani/pedis are done before the rehearsal and rehearsal dinner. It’s another time to have fun and anticipate the wedding with friends or relatives – and it’s a long process that’s best not left for the wedding morning itself! I hope this timeline advice helps you as you plan your big day! You can always email me or call me with any questions at all as you begin to put together your wedding day schedule!